Back in 2013, Motorola which was once part of Google, launched the very affordable stock Android handset, Moto G. We already had devices like the Nexus 5 or the famous Nexus 4 which gave the taste of high-end premium devices at an affordable price tag. The introduction of the sub-$200 pricing of Moto G brought a new era in the smartphone market worldwide. Motorola has announced the third generation of Moto in an event held in New Delhi, India today. The Moto G will be carrying a price tag of Rs 11,999 for the 1GB RAM/8GB Storage variant and RS 12,999 for 2GB/16GB storage variant. Moto G along withs brother, Moto X were heavily leaked in the past few days. 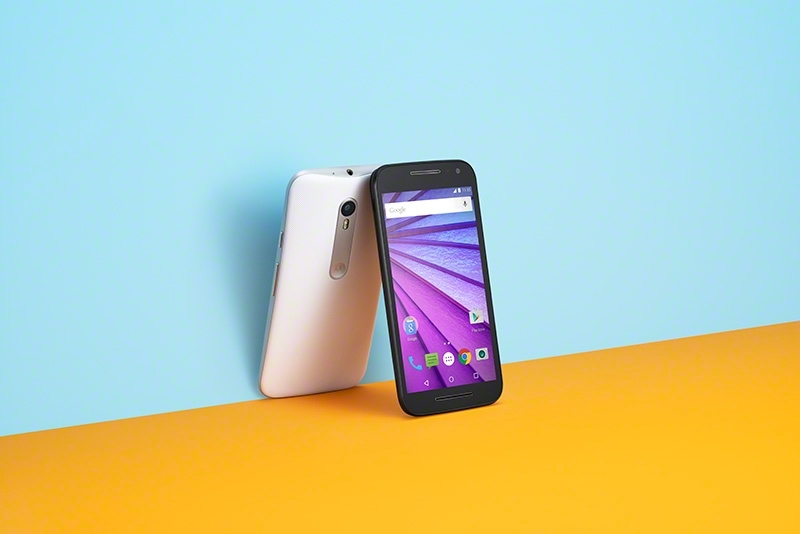 The specs of the Moto G matches with the leaked information. The Moto G comes with a 5-inch HD display protected by Corning Glass 3. The phone houses a Snapdragon 410 SoC with a 1.4Ghz quad-core processor. Most importantly, the phones comes with Android 5.1.1 OS and will include Motorola apps such as Quick capture, Chop Twice and Moto Display. For the camera, Moto G has a 13MP at the rear along with a 5MP at the front. Coming in dual SIM configuration. the device will be supporting 4G SIM cards.The only thing left is the battery unit, which stands at 2,470mAh. Additional features include a IPx7 certification which makes the device water resistant up to 3ft of water. The smartphone will be coming in white and black variants.